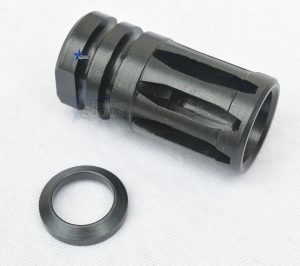 GAS REDIRECTING MULTIPURPOSE MUZZLE BRAKE EXTERNAL THREAD ADAPTER 13/16"
The reduction of Lateral movement is nicely balanced with reduction of vertical movement to create a very stable Competition muzzle brake. 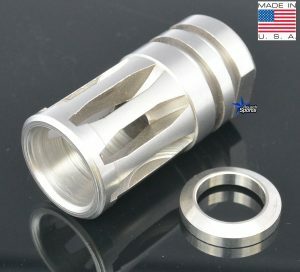 Please choose the proper thread pitch and caliber for your firearm! Have you been looking for a muzzle brake with exceptional recoil reduction? 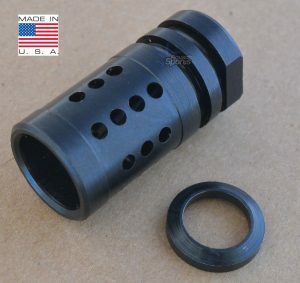 Do you want the ability to add addition accessories like a Blast / Sound Forwarding cone for CQB or inside range shooting? 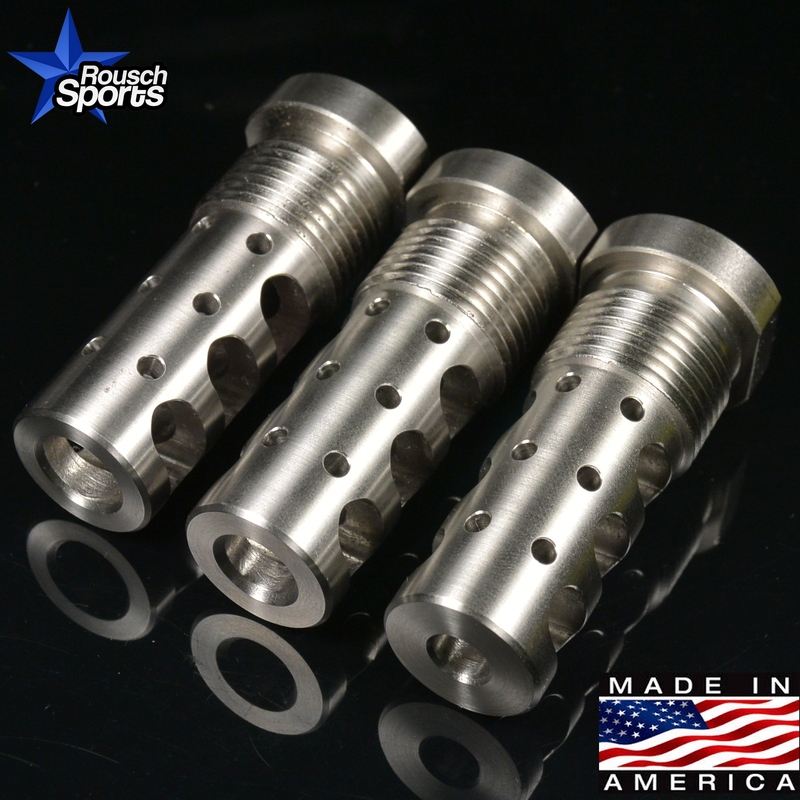 Do you want the ability to thread on a solvent trap for cleaning of your firearm? 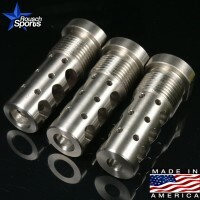 The GRBVS Stainless Muzzle brake is a very capable muzzle brake that has replaced many of the overpriced/expensive name brand muzzle brake on avid shooters rifle and pistols. Why? Because the felt recoil is dramatically reduced allowing the shooter to Stay on target with multiple shots fired in rapid succession. 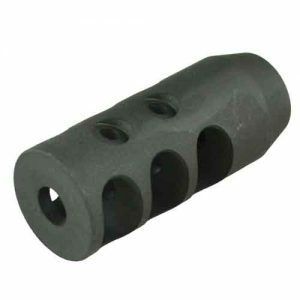 The GRBVS is a very capable muzzle brake that can hold its own against more expensive name brand muzzle brakes and allows you wallet to remain a little heavier with the cash savings. 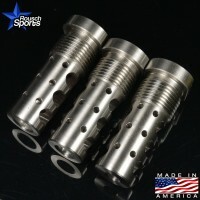 Manufactured in the Unites States with American hands.